July and August were packed with events for us, we were that busy that we didn't even manage to write a blog post. But what happened in July and August you ask? Very good question, simple answer: Gamescom, the biggest games trade fair worldwide and we got the opportunity to show our game there. Because our pre-alpha demo with a playtime of about 2 hours is unsuitable to show it to anyone on a trade fair, we decided to create a trade fair demo level that takes about 20 minutes to complete and shows the gameplay of Eternal Escape as compact as possible. The new level is about playing the classes Scout, Alchemist and Assault one for one and eventually beating the boss with all the classes together. The new level will be available in the next Demo v0.2.8 and will be used in the future for trade fairs and also continuously developed. Therefore this level will get updated with your ideas and bugfixes. Apart from that, we've been busy with all other kinds of trade fair preparation. Our artists worked very hard (while being ill) on posters, t-shirts, and even business cards. Suddenly in the middle of August Gamescom was about to happen. Now, we would like to take a moment to thank everyone who made this unbelievable opportunity possible. 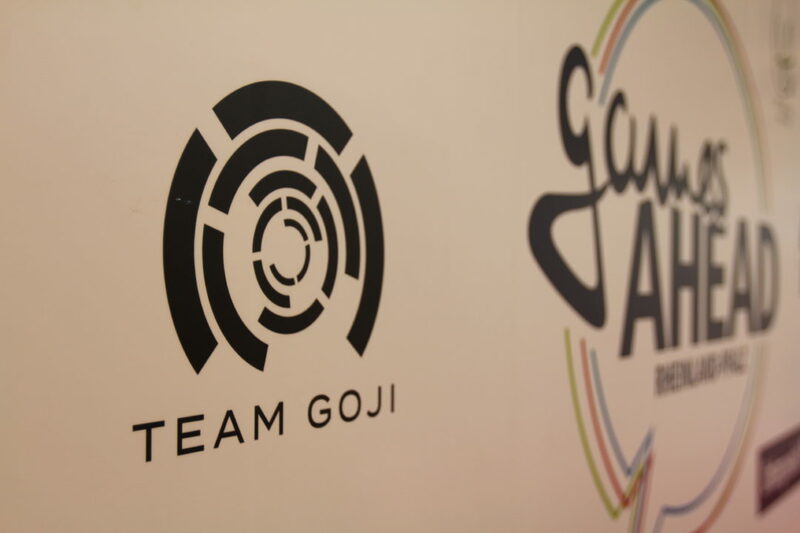 First and foremost gamesAHEAD which were responsible for the organization of the booth, that not only we but other teams from the Universities of Trier, Worms, and Mainz were at. Also, we need to thank the University of Applied Science of Trier that also took over a big part of the organization and very kindly contributed resources like devices, software etc. Last but not least Cowana that provided us a place for our booth in their media lounge in the business area. But what did we actually do at Gamescom? We're not even in alpha development stage! As this was our very first stay at a trade fair, we used this opportunity to mainly gather experience. Apart from that, we want to get feedback from people working in this business and to interchange know-how. We had visits from many representatives from the German games industry who gave us fantastic feedback. Which wasn't always positive but quite critical and that started new discussions. An experienced Valve employee gave us many tips on how to handle an early access release. Furthermore, we got many tips for the art style of our game. One representative of an important German game studio told us that our game needs a story reason of why the player is able to plan every move, an aspect that we didn't think about yet but maybe it is very necessary for our game. That was all very important for us, because we want to have a very transparent development. Furthermore, this feedback comes from people who've worked for a long time in the industry and is therefore very valuable for us. We've also got visits from politicians like Daniela Schmitt the state secretary of the Ministry of Economics of Rheinland Pfalz and the parliamentary deputy Andreas Steier. Both were very interested in all the games that the gamesAHEAD booth had to show. Furthermore, we made many new contacts and met many new friends while having the typical German "Feierabendbier" -the end of work beer. 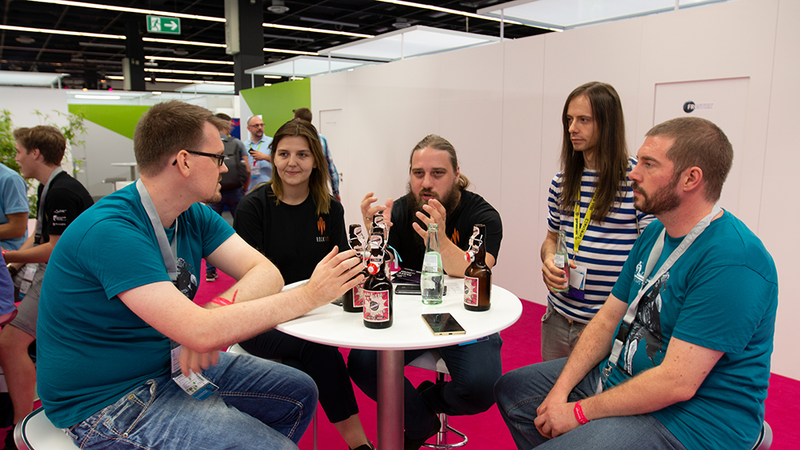 We had a lot of fun, especially at one of the many industry parties that happen during Gamescom. At the same time, we did get to know the rest of the team better. As we are all working decentralized and regularly have Discord meeting we don't see each other in person very often. During the trade fair, we all lived in a small apartment in Düsseldorf, which was a good opportunity to bond as a team. All in all, it was the right decision to attend Gamescom even though we're only in pre-alpha stage. We gathered quite some experience, met many new people and got great and useful feedback about our game. In addition, this was the next step towards transparent development. Its clear for us that as exhausting as it was we'll still be attending Gamescom next year. Then we'll maybe get to see each other in the entertainment area! Until then you can as always stay up to date by following us on Twitter or checking out our Subreddit. 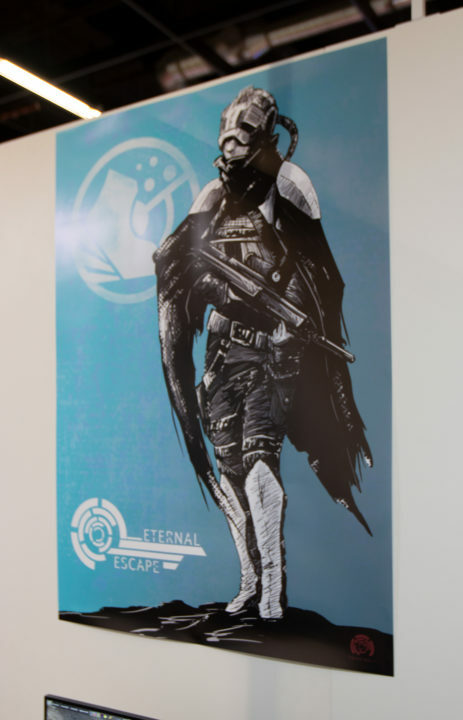 There you'll always get the latest news and can give direct feedback about Eternal Escape and its development.